We have selected these two companies as the best companies to work with when financing tubal ligation reversal, vasectomy reversal, Essure removal, and Essure reversal surgery. Financing reversal surgery can be a convenient way to have reversal surgery now without waiting to save for the full amount. How to obtain financing for reversal surgery? You need to apply to the financing company directly before you schedule surgery. Once the company approves your application you can schedule surgery with our office. The Advance Care financing company will provide you with a card, similar to a credit card, that can be charged at the time of scheduling surgery. United Medical will notify our office of your approved amount before you schedule. Two of the more unique plans are the My Medical Funding Patient Direct Loan and United Medical Credit Patient Direct Loan. If you are approved the company will send you the money directly and you can then use this money to pay our office for surgery or travel related expenses. After your surgery is completed, you are responsible for paying the financing company for your surgery over the time frame you agreed upon. Your interest rate and terms are established with the financing company at the time you were approved. Financing surgery can be a great way to have surgery now…but pay for surgery later. Important points about financing reversal surgery? If you qualify for My Medical Funding Direct Patient Loan or the United Medical Credit Patient Direct Loan and pay your surgery fee in full at the time of scheduling then the $500 financing fee will be waived*. The fee will only be waived for this loan and when surgery is paid in full at time of scheduling. See below for more details. *Starting April 1st 2019, financed surgeries scheduled after April 1st 2019 will not require the $500 administration fee. If you started a Reversal Prepayment Account before April 1st 2019 and have locked in your surgery fee at a lower rate….you will not be charged the higher financed surgery fee but you will be required to pay the $500 finance administration fee. The Advance Care Card is a great way to get surgery now and pay later. The application is simple and you can schedule surgery as soon as you are approved and receive your card. Approved applicants may receive up to 14 months of interest free financing at very competitive interest rates. The Advance Care card offers borrower’s a better advantage than CareCredit because borrowers can obtain up to 14 months of interest fee financing. CareCredit card holders must pay accrued interest during their no payment period! Apply for Advance Care Card Here! With the Advance Care Card credit lines up to $25,000 are available with interest free periods of up to 14 months. Once approved, you will receive your Advance Care Card within 72 to 96 hours by priority mail and you can then schedule reversal surgery. Ideal applicants are applicants with credit scores above 640; however, the company does have financing opportunities for applicants with credit scores less than 640.
Credit score of 650 or higher… up to 14 months of interest free financing! Credit score 620 to 650…. up to 6 months of interest free financing! Credit score of 500 to 620… no interest free financing offered. After you qualify for the Advance Care card, the company will mail you a card that looks just like a credit card. The Advance Care card functions like a credit card when being used to pay for surgery. To access the financed money on the Advance Care Card, the card needs to be swiped on a credit card processing terminal and because of this the card holder will be charged a 3% processing fee when the card is used at A Personal Choice. Although the Advance Care Card functions like a credit card, the card can only be used for services obtained by approved providers and cannot be used for non-medical expenses (ie gas, hotel, or food). My Medical Funding is a direct loan program sponsored by the Advance Care company. They specialize in direct patient loans and will even loan money to those with lower credit scores. For some reversal patients this may be very appealing because the money will be sent directly to your bank account… you can use this money to obtain the lower cash discounted fee or use the money for travel related expenses. Every day, medical providers perform necessary procedures for patient’s health and well-being. On many occasions patients are unable to pay upfront for these important medical procedures. United Medical Credit assists patients by helping them finance medical procedures without hassle. Through a network of experienced physicians and competitive lenders, United Medical Credit is able to provide you with the right medical financing options, at the best rates, and in a timely fashion. UMC Provider Direct financing is a traditional surgery financing program. If you are approved for UMC Provider Direct financing, then United Medical will send your surgery payment directly to A Personal Choice after your surgery is scheduled. 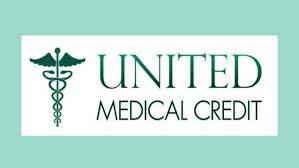 United Medical Credit’s Patient Direct Program is a personal loan program. If you are approved for United Medical Credit’s Patient Direct Program, then United Medical will send monies from your approved loan directly into your personal account. UMC’s Patient Direct Program offers much more flexibility because money is deposited into the patient’s account before surgery is completed! This money can be used for any expenses related to your procedure. The UMC Patient Direct Loan Program will fund amounts of up to $25,000. You can then use these funds to pay A Personal Choice directly for your surgery and to pay for travel, lodging, and food expenses! If you qualify for United Medical Credit’s Patient Direct Program* and pay for your surgery in full at the time of scheduling then A Personal Choice will waive the $500 financing fee. *Excellent credit is required to qualify for the Patient Direct Program. Not all applicants will qualify. * The surgery fee will only be waived if you qualify for a Patient Direct Loan and the surgery is paid in full at time of scheduling. *The Patient Direct program is currently NOT Available for applicants residing in Colorado, Connecticut, Iowa, Maine, Maryland, New York, North Dakota, Pennsylvania, Rhode Island, Vermont and West Virginia. How to apply for UMC Financing for reversal surgery? With the best financing reversal company working with A Personal Choice it has never been easier to finance tubal reversal surgery or finance vasectomy reversal surgery. United Medical has also partnered with A Personal Choice to offer patients financing for Essure reversal and Essure removal surgery. Financing companies are only willing to finance surgery (loan you money) if they feel you are financially stable enough to repay your loan. They do not want to loan money if they feel you will not repay them. A co-applicant with good credit can greatly increase your chances of obtaining surgery financing. The companies will often advise our office: A good co-applicant will increase the chances of a loan approval for this patient, allowing them to finance their procedure! 3. What to do if your application is rejected? If your application is rejected you can reapply with a co-applicant or another co-applicant with better credit. You may receive full or partial funding for surgery. The better your credit or the better the credit of your co-applicant then the more funding you can expect. Consider applying for the My Medical Funding Patient Direct Loan or United Medical Credit’s Patient Direct Loan. If you are approved then the loan is deposited directly into your bank account before surgery and you can pay our office as if you were paying directly for your reversal surgery. You can also use this money to pay for any surgery related expenses. Are you guys available the first week of July? We are closed the week of July 4th. We will be open the last week of June but not performing surgeries. Call us at (919)977-5050 and speak with Oyuki. She speaks Spanish and can help you. I had my tubes cute and burned I think its been almost 14 years I am 36 years old. Can I have a reversal? I am looking into the Finance portion I have already 3 boys and 1 girl before surgery. The clinic I had the surgery at is no longer running to get my records. How can I still have the surgery? Call our office (919) 977-5050 and ask to speak with Oyuki. She speaks Spanish and can help you. I only have the Essure in my left Fallopian Tube only; so do I still have to pay $7500 for the Essure Reversal? My doctor never was able to insert the coil in my right tube; the first try was in his office and the second time was at the hospital up under anesthesia with an Ablation. You would have to pay the entire amount for Essure reversal (even with one side only) and that amount is $7,900. They also likely did something to close the tube they could not insert the device inside so you would need repair of that blockage as well. In general it is recommended that you do not become pregnant after having an ablation procedure. Tubal reversal and pregnancy are possible if you are having regular periods of at least 3 days duration after your ablation. All pregnancies after ablation are considered high risk. Most IVF doctors will recommend using a gestational surrogate. IVF costs average $14,000 and you will have to pay the surrogate even more. If you are not having periods then we would not consider you a candidate for reversal. There is no medical treatment to make your periods return. Ablation will decrease the chance of pregnancy because it permanently damages the lining and muscle of the uterus. If your periods are light then you do have some functioning endometriumm but we are not always certain if it is enough to allow for pregnancy. There is no accurate way to be certain. We cannot provide an accurate percentage about the success of women getting pregnant after reversal with a prior ablation because there are no large scale studies looking at this. We have had women become pregnant naturally after tubal reversal with a prior ablation but don’t have a large enough group of these patients to provide meaningful statistics. Studies looking at women who have become pregnant after ablation show that about 50% will miscarry and about 50% will have live born babies. The ablation will decrease the chances of pregnancy but if you are having regular monthly periods of at least three days duration then pregnancy is certainly possible. If you are not having regular periods then I would advise against a reversal because pregnancy is not likely. In general pregnancy is not recommended after ablation because each pregnancy is at higher risk; miscarriage, growth restriction, early delivery, c-section and adherent placenta. The literature suggests pregnancies are at higher risk but many will do well. It is possible to become pregnant after having an endometrial ablation and then a tubal reversal and have a healthy pregnancy if you are having regular periods of at least three days duration every month. Please call us at (919) 977-5050 if you have any additional questions about tubal reversal. To be considered a candidate by our office you need to be having regular periods (every month) and these periods need to last for at least three days. All patients with ablations need a consult with me (Dr Monteith) either by phone or in person before they can schedule reversal surgery.